Warm sandwich recipes are ideal for those mornings when you only have time for a quick breakfast. 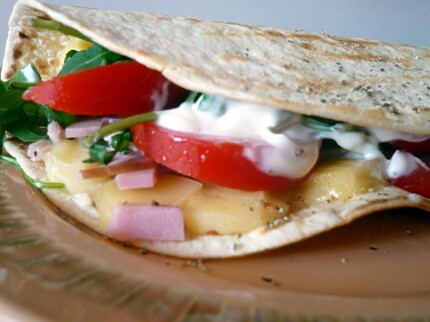 The total time needed to prepare a warm, nice sandwich can be as little as 10 minutes. I believe it’s healthier to have a warm breakfast rather than to grab some cold snacks and eat them while standing in front of the fridge door. 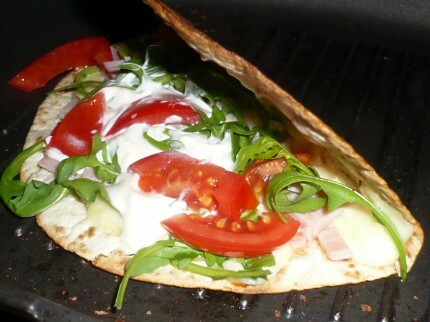 Start the sandwich by setting the stove top grill on medium heat. 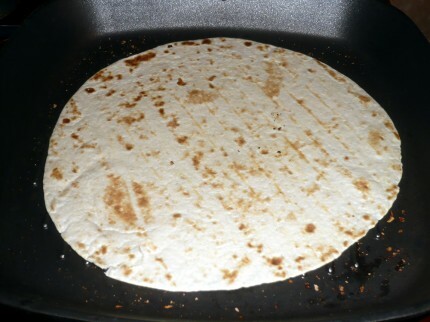 When it’s hot, put a tortilla on it and heat it for 1 minute, then flip it and heat it on the other side for another minute. 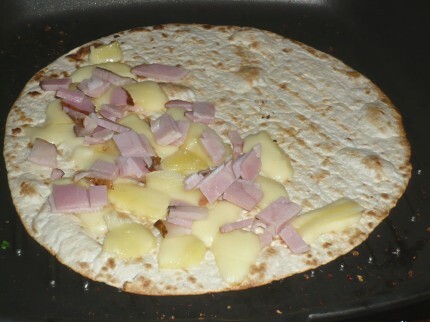 Put some diced cheese on half of the tortilla, then add some diced ham on top of it. Heat it for 1 minute. 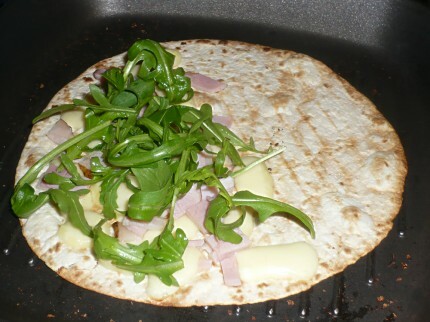 When the cheese starts melting, add a handful of rucola (or rocket salad, as it is also called in some parts of the world). Add a few tomato slices and a tablespoon of mayonnaise. Add salt and pepper according to your taste, then fold the tortilla. Transfer the sandwich on a plate and enjoy your quick breakfast. 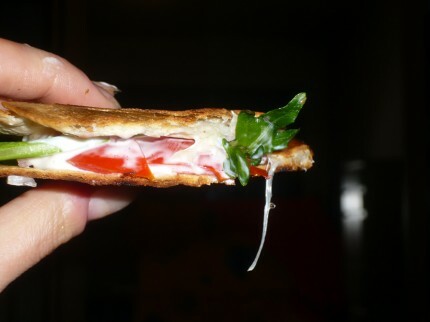 Grilled tortilla sandwich - yummy! I won’t be giving you quantities for this recipe, because I don’t believe there’s a right way of making a sandwich. Just use whatever ingredients you like, in the quantities that fit your preferences best. 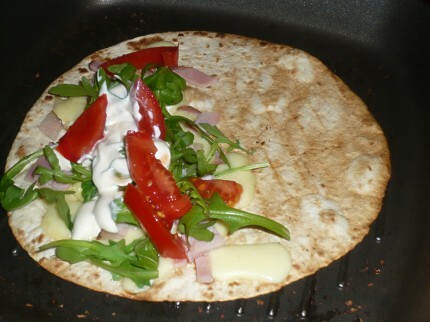 If you like the tortilla less cooked, remove it from heat just after the cheese melted, and only then continue adding rucola, tomatoes, mayonnaise and other goodies. If you are on a low-fat diet, you can replace the mayonnaise with 0% fat yogurt or with salsa. Use sour cream, or half sour cream and half salsa, instead of the mayo.